With over 20 different Remote Start and Security Systems in stock, we're sure to have one that fits your needs. No matter what you drive, odds are we have a remote starter that will work for you. We even offer remote start systems for diesels, stick shifts, and hybrids. Push button start or Smart Key? No problem. Cali has you covered. Did you know that the average American adult spends over 600 hours per year behind the wheel? Doesn’t it seem silly to spend all that time listening to a poor quality factory radio with limited features? 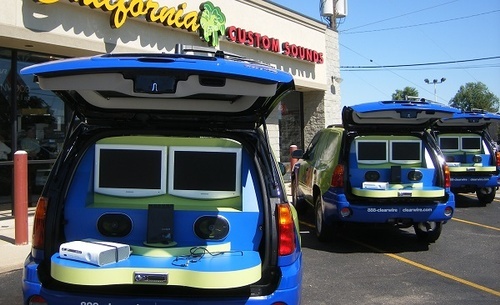 Don’t worry... California Custom Sounds has you covered! 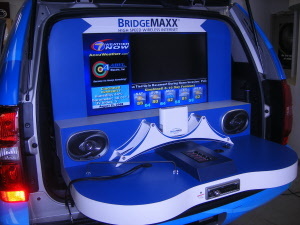 Whether you just want a simple speaker upgrade, a concert sound system, a complete “Car Theater”, or a big bass monster, we have the knowledge and expertise to lead you down the right path. 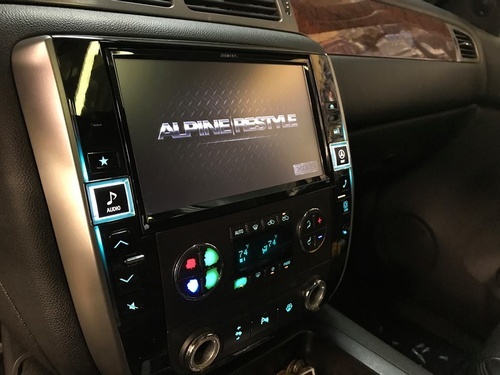 Maybe you looking for the latest in-car technologies such as Ipod integration, HD Radio, GPS navigation, or Bluetooth handsfree for your cell, but you don’t know where to start? Our knowledgeable, honest staff will be happy to give you all the pointers you need. So you ask “but do you do installation”? OHHHH YES - we do installation! From mild to wild, if you can dream it we can do it. Just want your radio replaced? No problem. 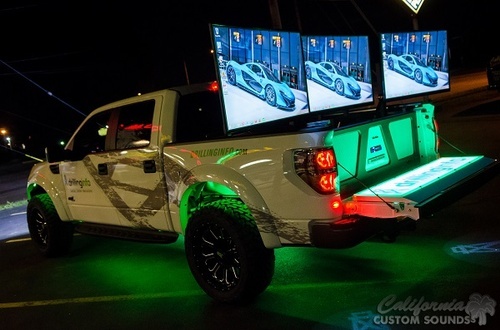 Looking for a show-stopping custom install like you’ve seen on TV? Yep, we can do that too. With over 50 years combined installation experience under one roof, nobody is better equipped to do the job. Want Plexiglas, fiberglass, composites, motorization, or other advanced techniques? No problem.